Influenced by the American Society for the Prevention of Cruelty to Animals (ASPCA), Facebook is now taking action to prevent puppy mill dogs from being advertised and sold on Marketplace. Marketplace, an online source for classified listings, is a frequent advertising outlet for unscrupulous breeders. Facebook and Oodle, the company in charge of overseeing the Marketplace, are in the process of working with the ASPCA’s “No Pet Store Puppies” campaign to enforce stricter restrictions for their listings, eliminating listings that advertise for unethical breeders. 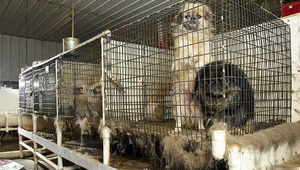 The goal is to cut down on the number of puppy mill dogs bought and sold online. The ASPCA’s “No Pet Store Puppies” campaign, launched in 2011, seeks to put an end to cruel breeding practices by spreading the word about the inhumane conditions at puppy mills and encouraging consumers to steer clear of purchasing pets online or in retail pet stores. The ASPCA encourages consumers to sign a pledge against purchasing animals from pet stores or online. The ASPCA believes that Facebook’s efforts will make a positive impact and potentially set an example for other sources of online classified advertisements. “Removing an online platform for the cruel puppy mill industry sets a positive example of corporate citizenship and will help improve the lives of countless dogs,” stated ASPCA President and CEO Ed Sayres. Breeders that sell directly to consumers over the internet are vastly unregulated operations; there is little to no federal supervision, accountability, or recourse for these online puppy mills. Purchasing an animal over the internet not only has potentially heartbreaking consequences, but puts money into the pockets of untrustworthy and often cruel breeders.